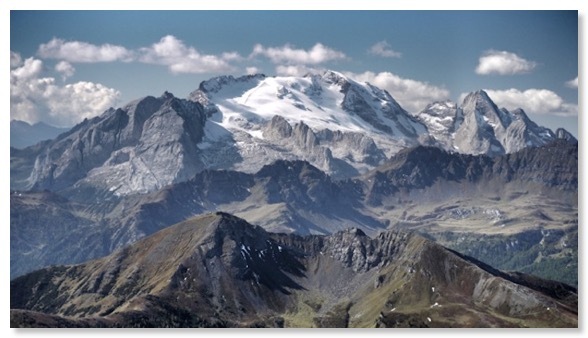 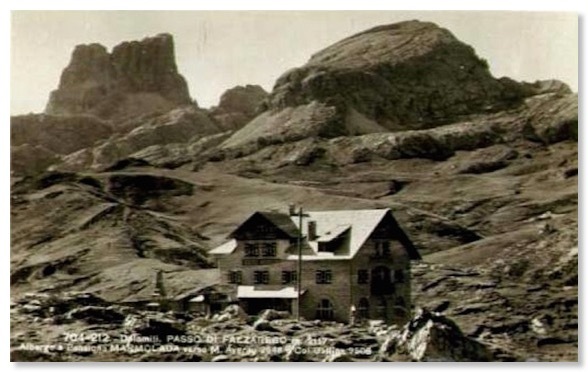 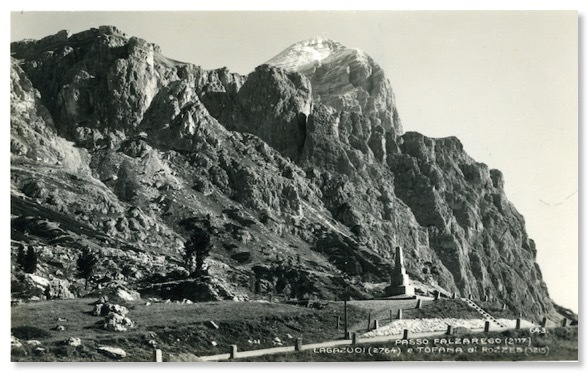 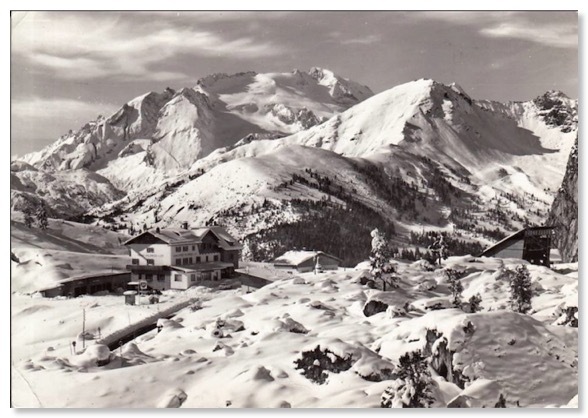 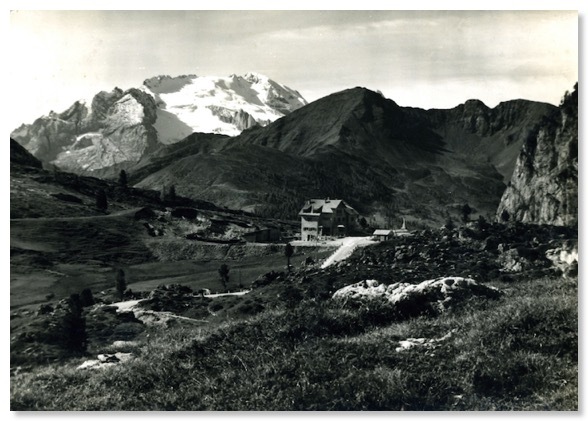 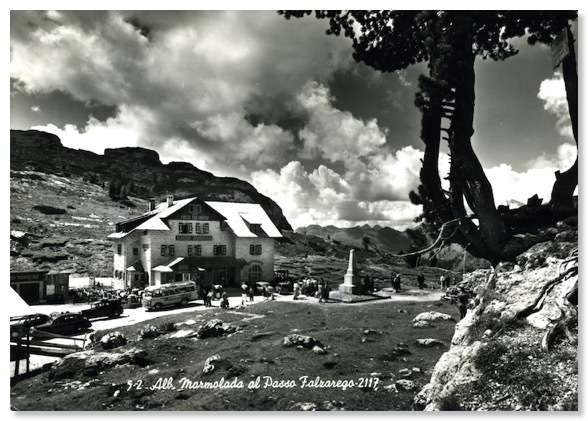 Probably because of the close proximity of the WW1 fighting to this pass summit, the area has been extensively photographed by postcard producers over the years. 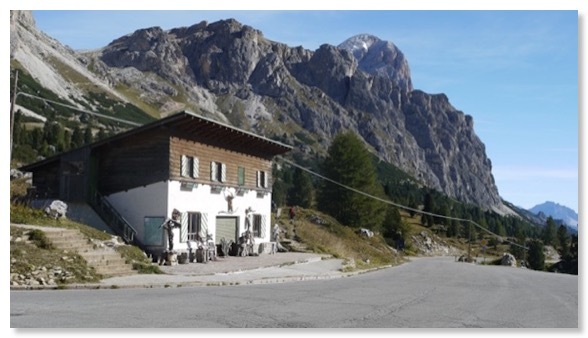 I have only drawn on a small part of my collection for this page of the web site! 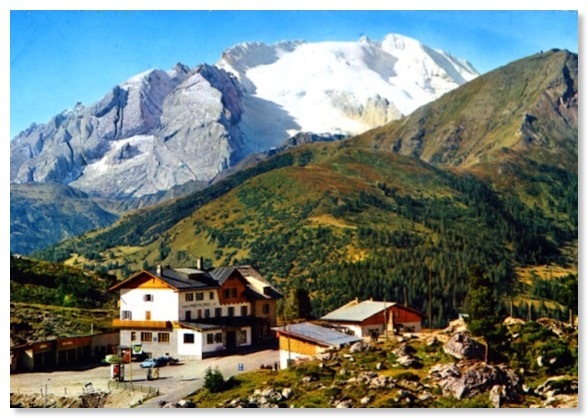 There are considerable overlaps between the views on this page and those for Photo 27 which follows. 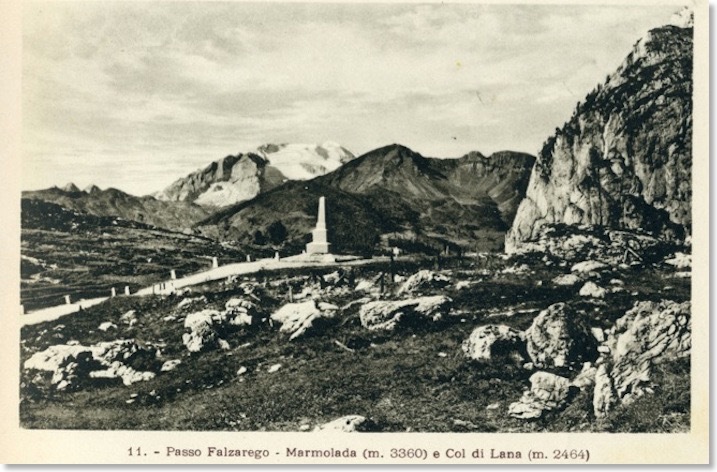 That there are still barbed wire entanglements in the foreground and middleground of Zardini's photo above probably places the original picture at some time not long after the end of WW1 fighting in this area, but just after the original war memorial was erected. 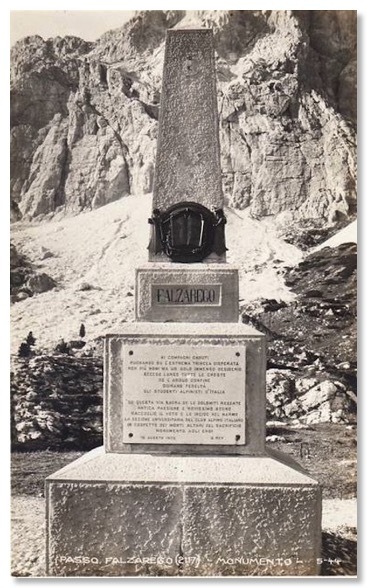 It isn’t possible to see the marble plaque on the memorial in Zardini’s photograph. 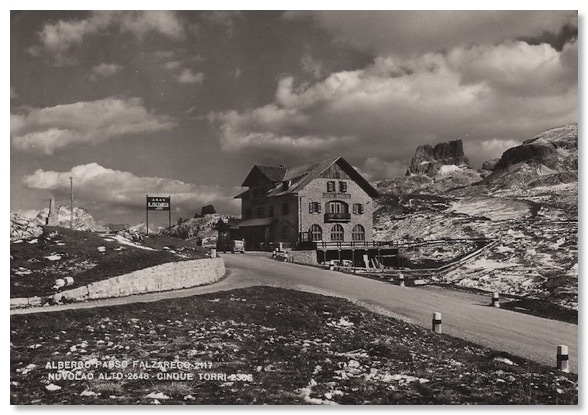 My view is that this was added after 1925. 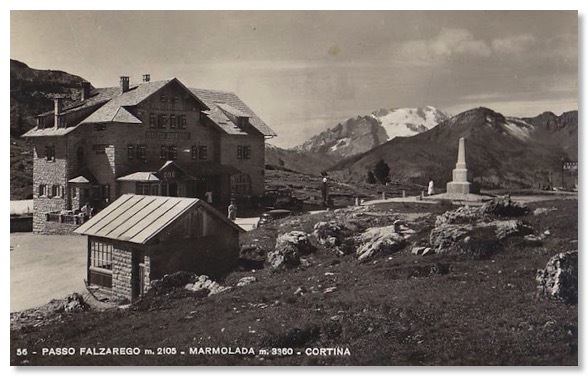 The quotation on it was not written until 1925, and in an early postcard on my web page for Photo 27 it is clearly absent. 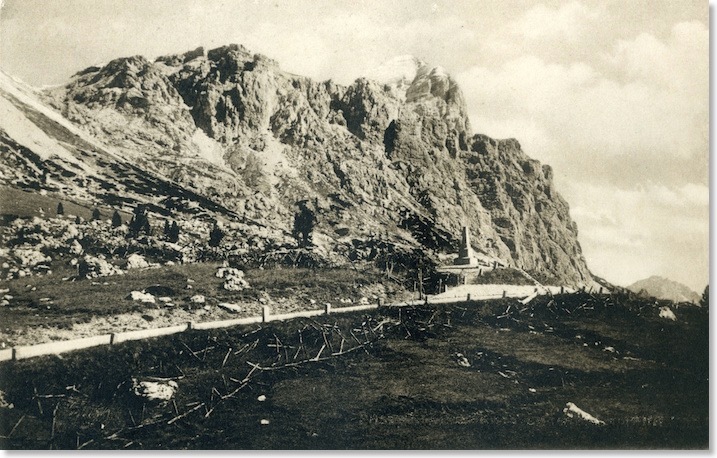 It also seems likely that by 1925, the WW1 barbed wire would have been cleared. 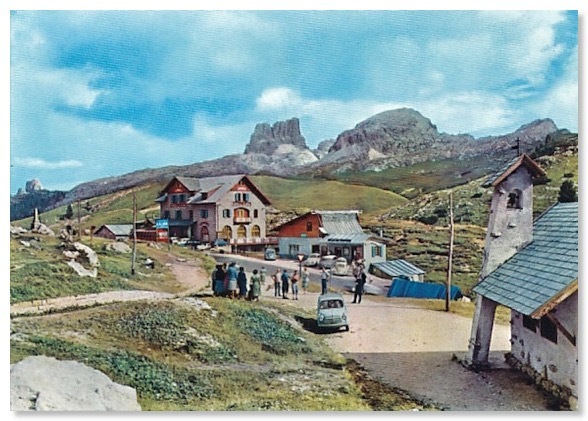 The Road has been re-aligned and widened several times since then, and numerous buildings erected that were not there when Zardini took the photograph. 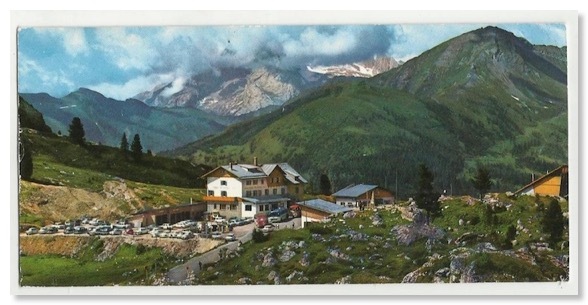 These include a large cable-car station (just out of shot to the left of my own picture above). 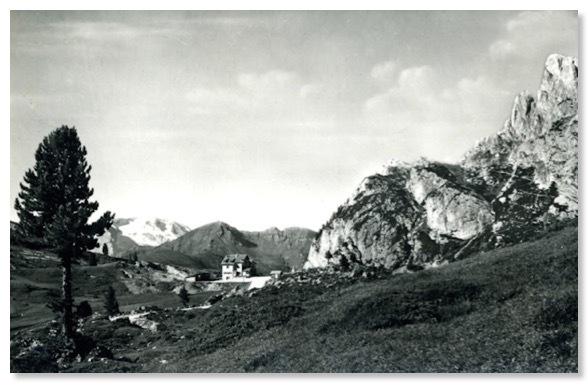 However, the area remains readily recognisable. 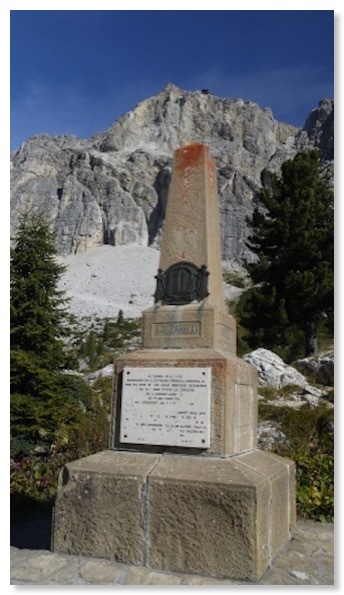 The inscription, commemorating the World War 1 fighting and based on a 1925 tribute by climber, photographer and Alpine historian Guido Rey is no longer complete. 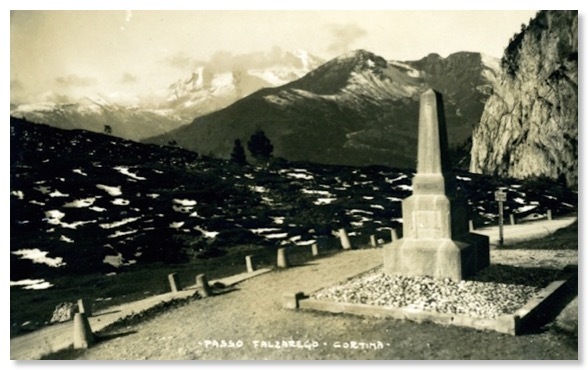 It is a view across the War memorial site in exactly the opposite direction to the one used in the first guide. 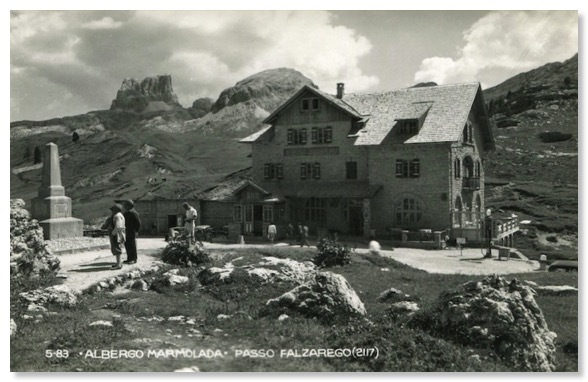 The peak in the background is the Marmolada. 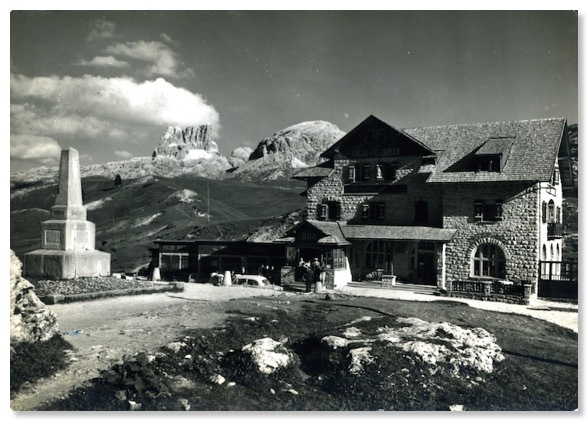 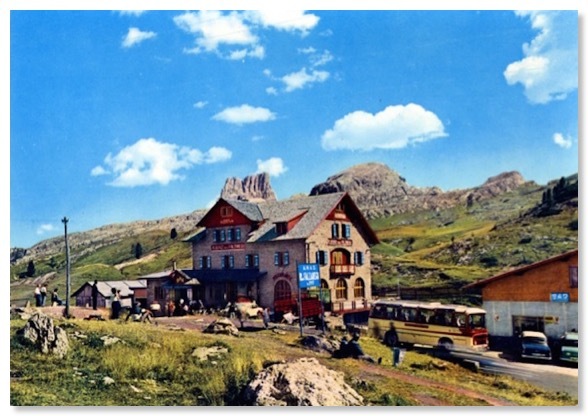 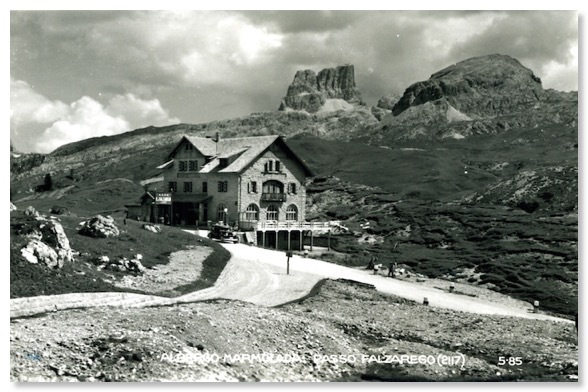 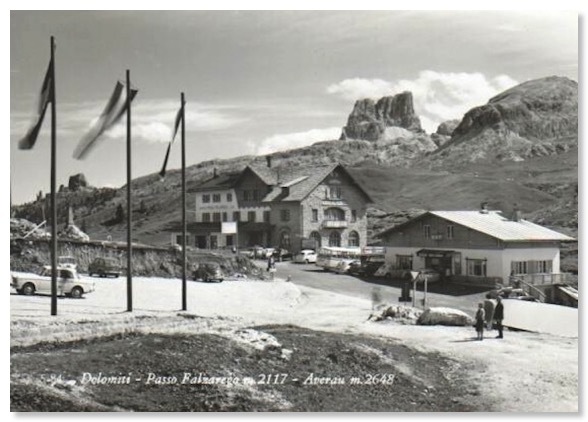 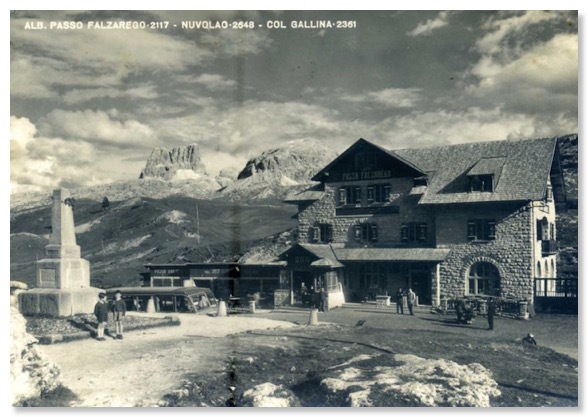 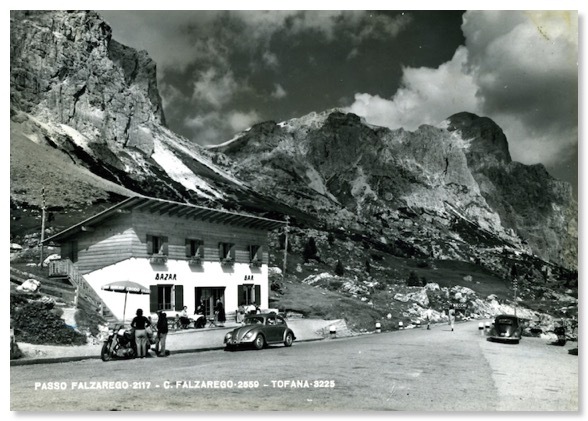 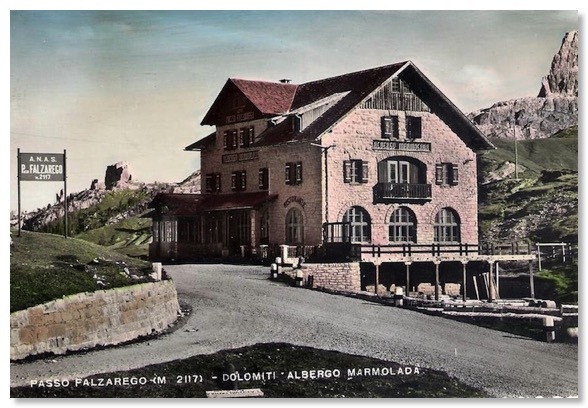 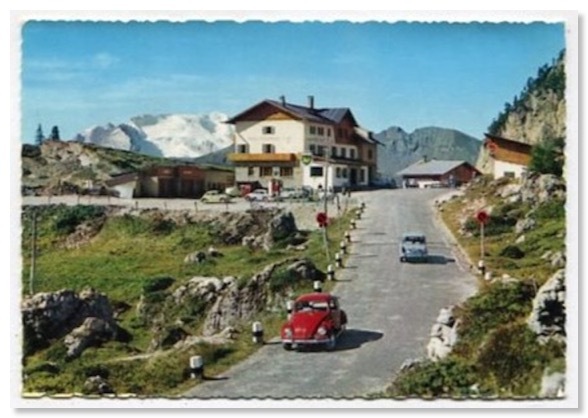 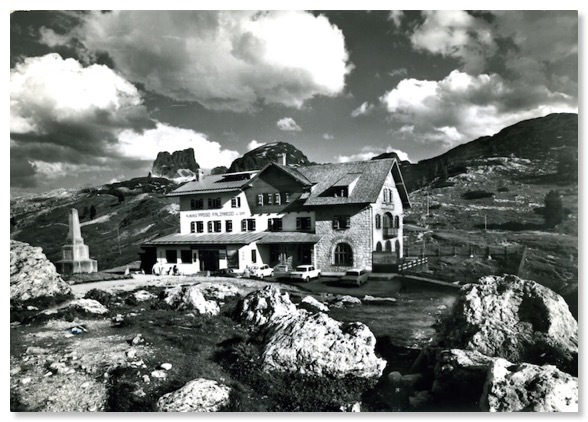 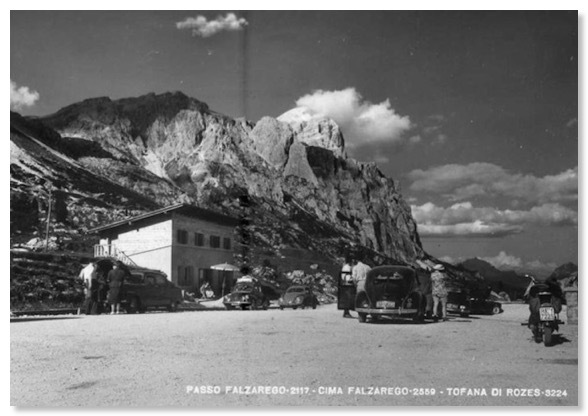 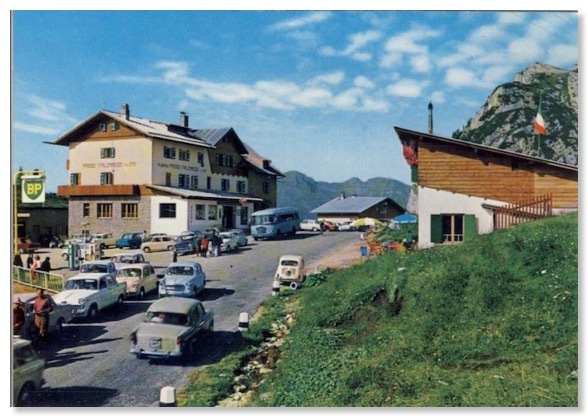 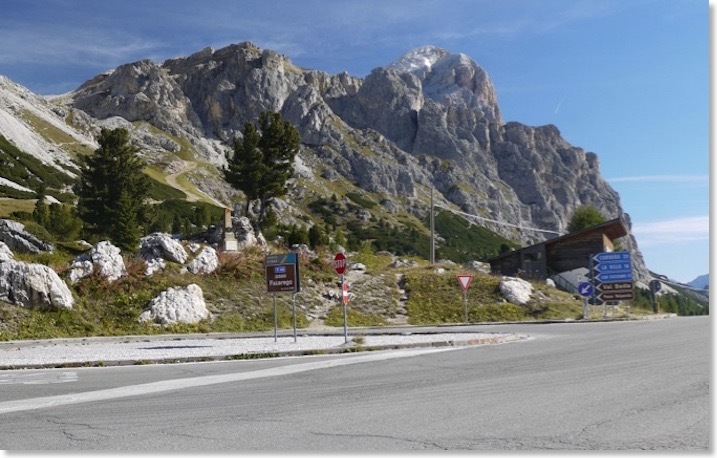 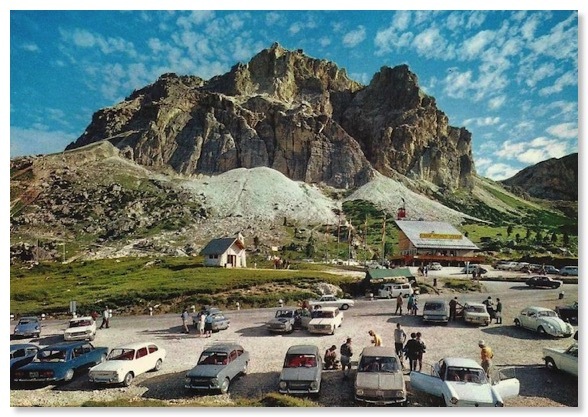 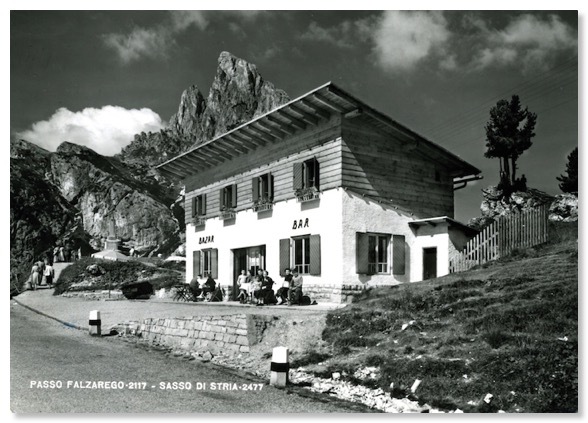 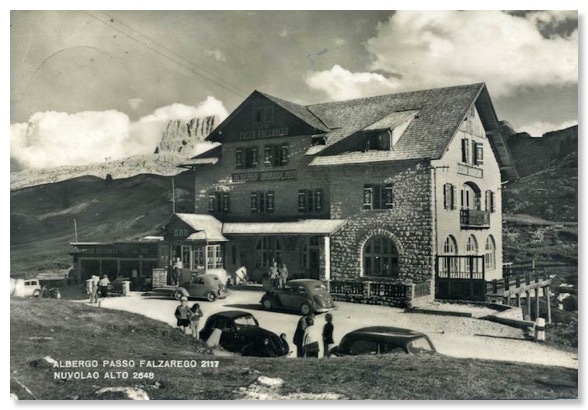 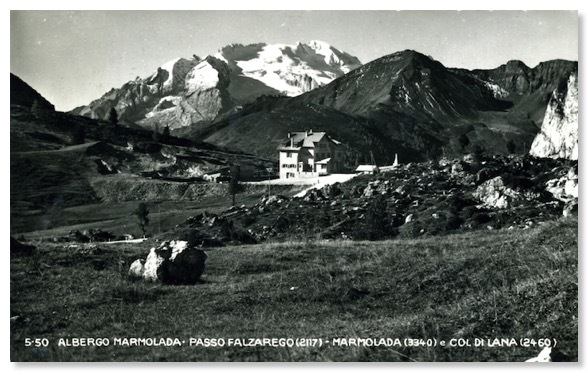 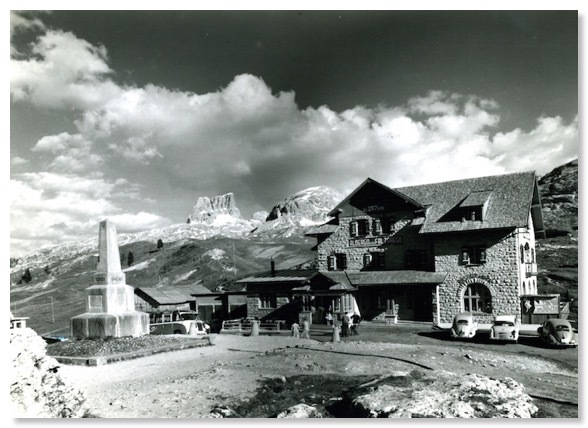 The building at the head of the pass was called the Albergo Marmolada. 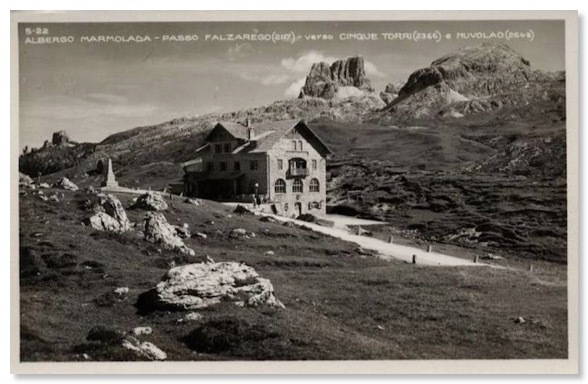 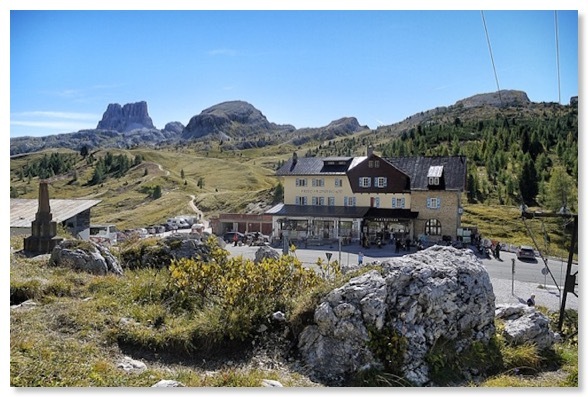 One might have thought it would be called the “Albergo Passo Falzarego”, or similar, but that name had already been taken. 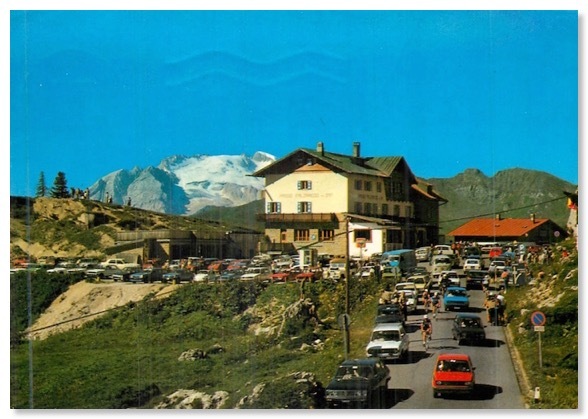 See Photo 28 for more about this.